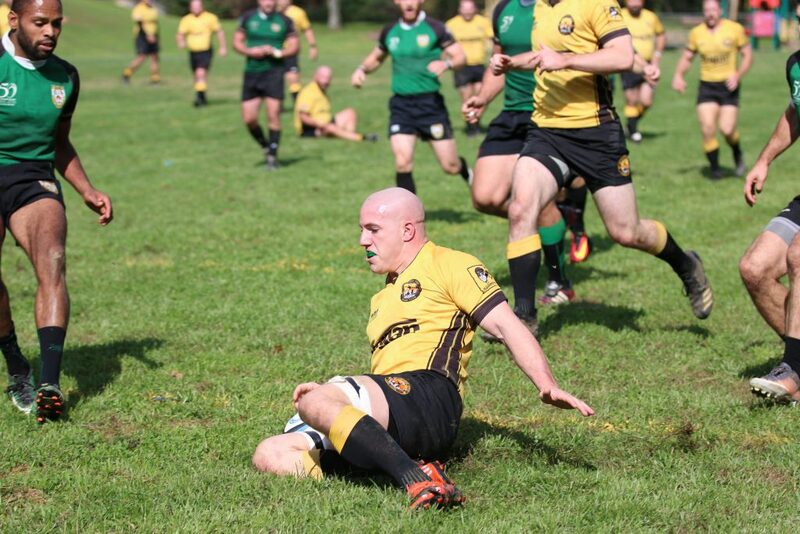 Flanker Alex Gordon setting down his fourth try of the season against the Rochester Aardvarks on Saturday, October 20, 2018. 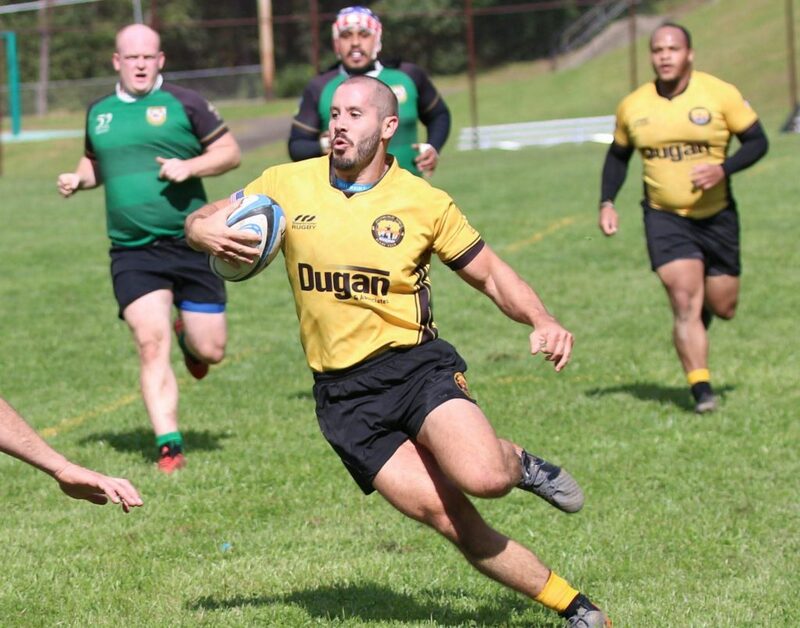 PITTSBURGH, PA – After a disappointing loss the week prior, the D2 men looked to keep themsleves in the Midwest playoff hunt by exacting some revenge on the Rochester Aardvarks at home. 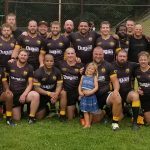 In their previous meeting on September 22nd, the Aardvarks squeaked past the Forge in Rochester by a score of 31 – 27. On a sunny, but cool afternoon in southwestern Pennsylvania, the Forge kicked off to Rochester to begin the contest. After a few minutes, a Rochester winger was able to open the scoring with a try, a conversion and later a penalty kick to give the Aardvarks a quick 10 – 0 lead at the eleven-minute mark of the game. 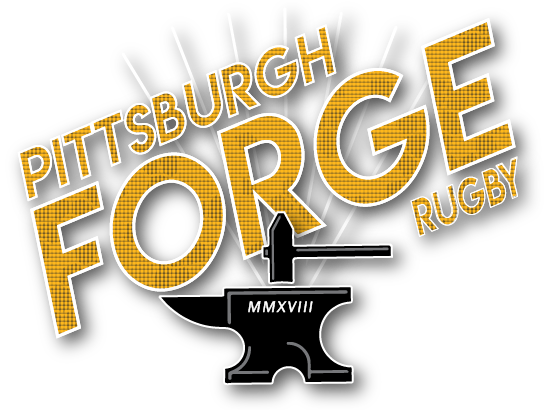 Just one minute later, Andrew Knuttel (PITT) would get the Forge on the board with a penalty kick of his own followed by a nice try by powerful lock Sam Angelo (SRU/IUP). That try would go unconverted by Knuttel, but bring the Forge back to within two points at the seventeen-minute mark. At twenty-minutes, Alex Gordon (SRU) would have a nice carry and dot down his fourth try of the campaign followed by a Knuttel conversion. Gordon would continue to have a stellar game off the score sheet on his way earning his second Man of the Match distinction this season. Two injuries, first to forward Cody Fulton and then to fullback Billy Gordon (Villanova) would bookend a nice break away try by center Patrick Dobbins (UPJ) followed by a tough earned try from forward Tony Cardamone (SRU) to end the half. The Forge would take a 17-point lead into the break. Center Patrick Dobbins on his way to scoring his first try of the day against the Aardvarks. The second half would begin with the Forge conceding a penalty try to Rochester seeing front row player Frank Cacciotti (Geneva) being sent off with a yellow card. 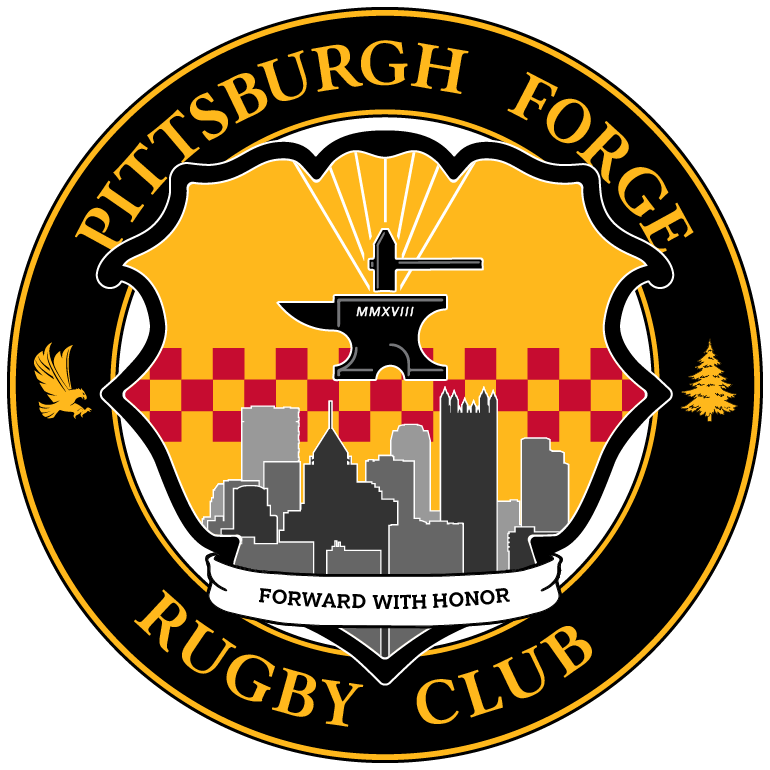 Playing a man down would not slow down the Forge, however, as scrumhalf and team captain Rous Kluever (PITT) was able to score his team leading eighth try of the season at the forty-seven minute mark. This was followed by Sam Angelo’s second try of the day at the fifty-minute mark.  Utility back Josh Robertson (SRU), on for the injured Billy Gordon, would add his second try of the season, the kicked converted by Knuttel, followed by Patrick Dobbins’ second try of the match, that kick also converted, but this time by Kluever. 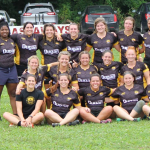 At sixty-minutes, the Forge held a commanding 55 – 22 lead over the Aardvarks. Coach Stephen Walsh would bring on elusive forward Brandon Benvenuti in for Knuttel at sixty-minutes as well as high flying winger Eric David for Julyan Jenkins. 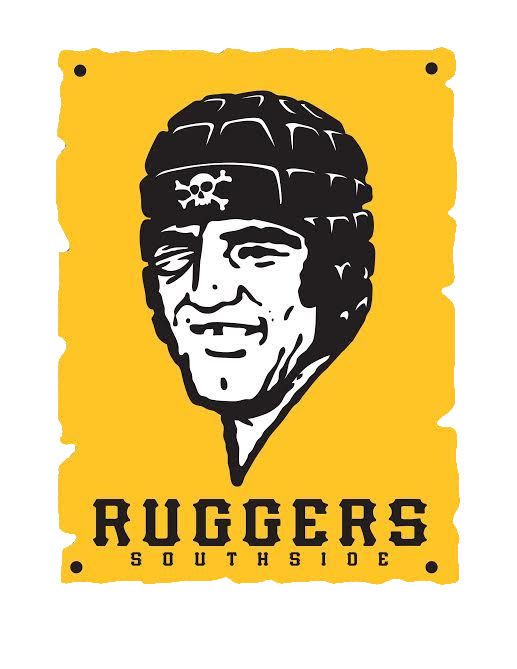 Rochester would set down a try at sixty-two minutes before Benvenuti would dot down his second try of the season off a nice pick ‘n go near the goal-line. 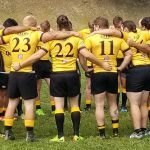 To close out the scoring for the Forge, flyhalf Tyree Massie (Cal U) would set down his second try of the season, converted by Kluever, before Rochester would get a bonus point, converted try just before the last whistle. Final score read Pittsburgh 67 – Rochester 36.